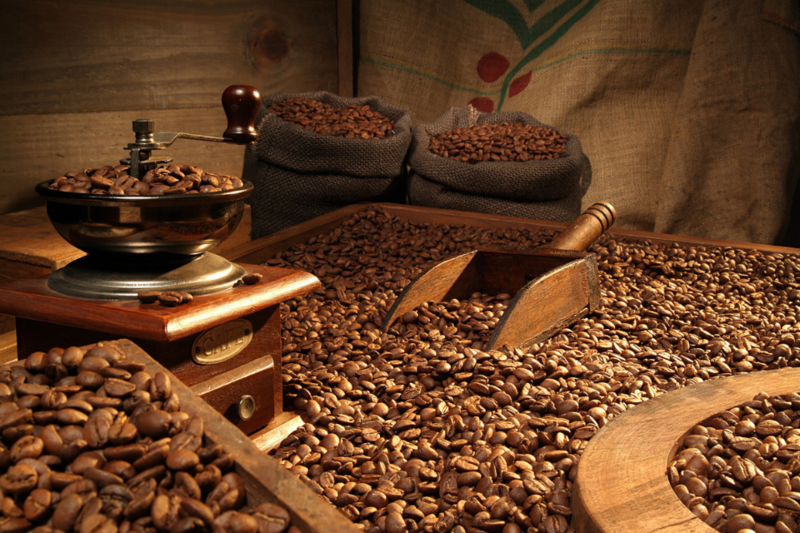 What should you know about roasting coffee? Coffee has a cinnamon hue and sour flavour, it’s light and mild, its flavour quickly disappears from the palate. Roasting process is stopped at around 205 Celsius degrees so a part of sugars is not caramelised. African coffees are suitable to be roasted this way (Ethiopian Sidamo), so they would preserve their complex, fruity and vinegar aroma. Most popular roast, stopped at 215 Celsius degrees giving less acidity but strongly developed aroma with impression of full flavour. Part of sugars is already caramelised, the flavour sustains on the palate for quite some time. Most coffees show their best qualities roasted this way (Brazilian Santos, Indian Malabar). Moment of roasting is stopped between 225-235 Celsius degrees. 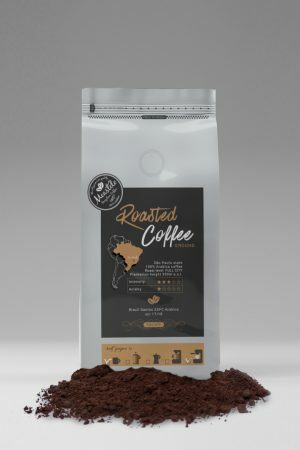 Coffee is moist, oily and has a dark brown colour. At this stage acidity disappears, aroma is full, thick and smoky. 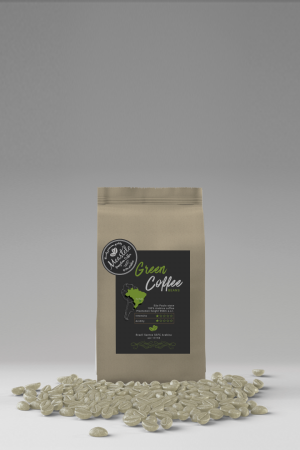 Coffee has often gentle chocolate aroma, most caramelized sugars introduce sweet flavour. It’s good to know that coffee roasted in production process generally lack in aroma high qualities. 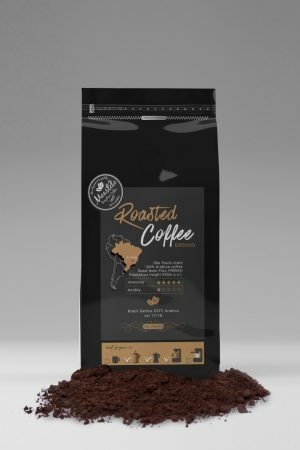 If you are a true coffee enthusiast, you should reach for coffee ground in a traditional method, called the master method. This method is supervised by a master, who observes the colour of the roasted beans. Roasting small amount of beans in temperature 230 Celsius degrees for at least 15 minutes extracts all the flavour and it’s intended to high quality coffee. Industrial process of roasting coffee takes tons of coffee at once – most popular are chamber roast, assembly roast and continuous roast. 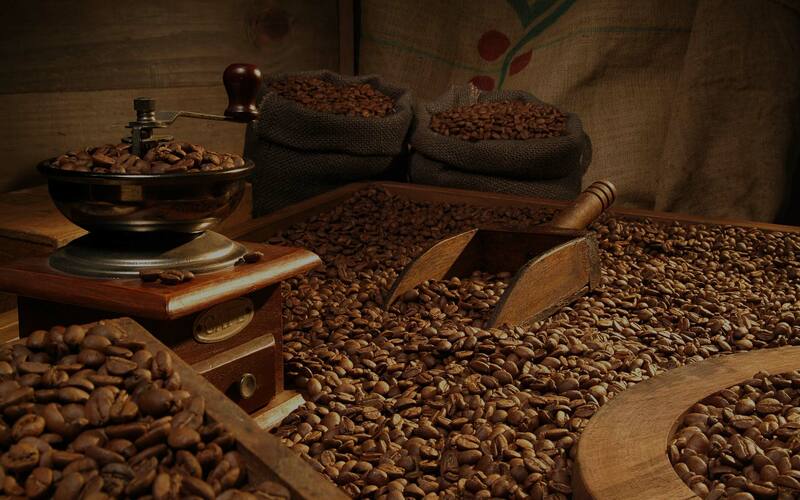 Coffee is roasted in high temperature and quite shortly – in many cases no longer than 2 minutes. Industrial methods of roasting are simply insufficient to extract deep flavours and are never used with high quality beans.